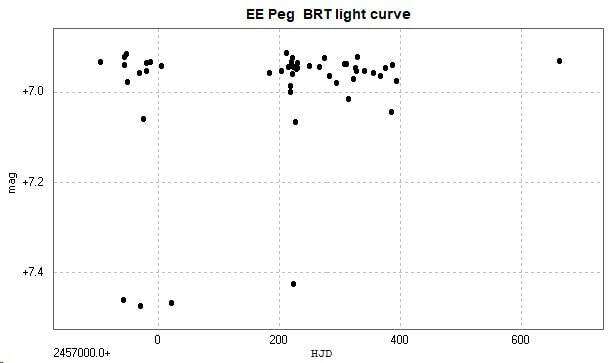 Light curve and phase diagram of the EA type eclipsing binary EE Pegasi / EE Peg. These were constructed from 51 images taken with the Bradford Robotic Telescope Cluster Camera (BRT) between 2014 September 3 and 2016 October 1 through a tri-colour green filter. 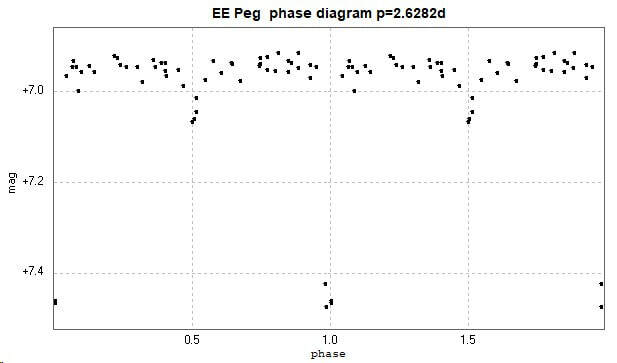 The catalogue period for this star is 2.62821423d (GCVS, AAVSO VSX) and 2.6282169 (Kreiner). There is little o-c activity evident for this star (Kreiner). 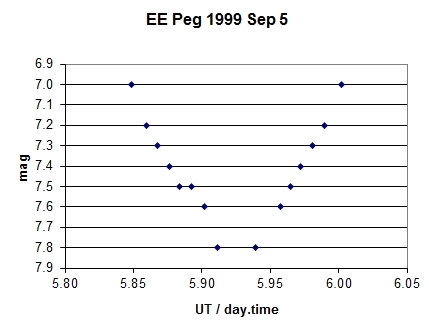 Primary minimum on 5 September 1999, observed visually from Leicester with 7 x 50 binoculars.